While most people spent the weeks leading up to Easter stocking up on chocolate eggs and hot cross buns, we were busy filling homes with Stinking Bishop for Easter Lunch. 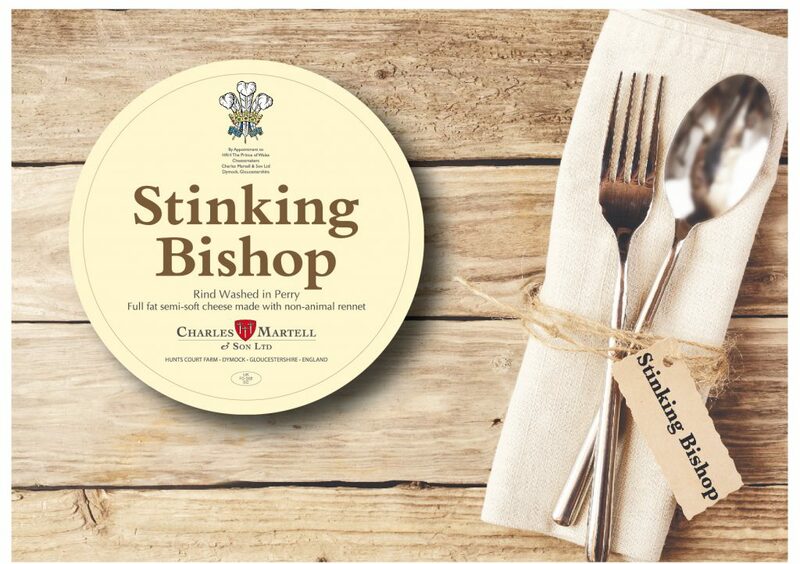 It all began last year, when Michel Roux Jr. declared that Stinking Bishop should be to Easter what Stilton is to Christmas. Immediately the Recenseo cogs started turning and, a few meetings and cups of tea later, a new campaign idea was born – Invite The Bishop to Easter Lunch. The campaign was composed of two main elements: stockist POS material and social media engagement with a competition. Our in-house graphic designer, Raf and Marketing Operations Exec, Hannah set to work designing up posters and postcards and organising for them all to be sent out to Stinking Bishop’s 130+ stockists. Meanwhile new-recruit, Jess headed up the social media campaign and competition, with a mission to engage customers and stockists alike. We’re still in the process of gathering feedback from Stinking Bishop stockists, but the initial response has been overwhelmingly positive. Many stockists sold more Stinking Bishop during the lead up to Easter than usual, and all of them agreed they would support further campaigns. The four-week social media campaign running up to Easter Sunday was a tremendous success too. Regular conversation on Twitter and posting on Facebook, alongside a bit of Facebook advertising and plenty of social media listening saw engagement with Stinking Bishop soar. So all in all, a successful campaign we think!